A video of a live performance of this band recently went viral on youtube, specifically in Latin American countries. 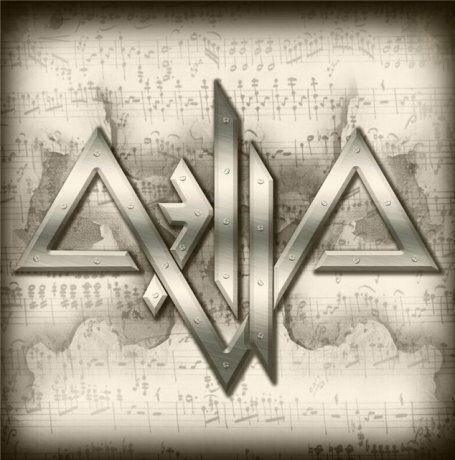 Don't know why did it happen - maybe they never heard metal with lyrics in Russian before, maybe they just love all-female metal bands... one way or another, Aella didn't expect to meet such success abroad. Since there's almost no English-language info about them on the net, I'll try to help their foreign fans by writing this review. In an attempt to present themselves to their newcoming fans from abroad, they tried to wrote a brief self-description in English. What came out of this: "Girl band Aella is well known in Russia. Hard Rock music is not usually performed by girl bands. That's why this group have a lot of fans all over Russia". Well, with all respect, the "well-known and have a lot of fans in Russia"-part is simply not true, they're just an young band, not very well-known even in the underground (they already have an extensive history of live performances, though). However, the phenomenon of a Russian-singing metal band suddenly becoming popular abroad is really interesting, that's why I'm writing this review. To be honest, I have mixed feelings about their first (and currently the only) LP. Its quality varies very significantly from track to track, probably because it was recorded during a long period of time. While the opening track and the track #7 (which went viral on youtube) are very powerful and catchy songs, some other tracks are just awful (especially regarding the vocals). Honestly I'd be much better to be released as 4-5 tracks EP with only the best material... Anyway, these girls certainly can play their instruments, the songwriting isn't bad as well, and the lyrics are NOT dumb (which unfortunately is the case with many Russian heavy/power metal bands).